major. bag. envy. - bitte.und.danke. 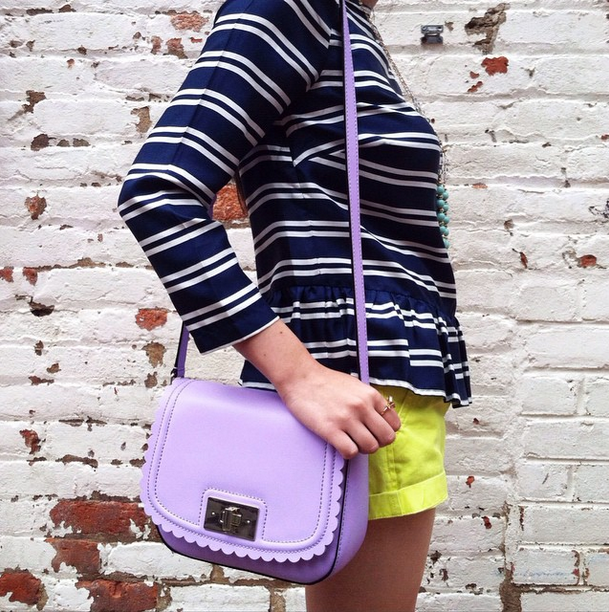 Throwing it back to last summer + my favorite Kate Spade scalloped bag! As hard as I tried to convince myself that I didn't want nor need a new bag, I have inadvertently decided that I DO in fact want one. With graduation money to spare, it only seems fitting to treat myself to something that I know will be put to good use. In addition to a pair of Industry Standard's Simone Midrise skinny jeans (now on preorder! ), I'm almost set on investing in a Rebecca Minkoff "Mini M.A.C. Crossbody" in tranquil blue. I love how versatile and on-trend the mini crossbody silhouette is. Wear it with everything from an easy-breezy dress to jeans for an effortless day-to-night look. What bag(s) are you currently coveting? Let me know in the comments below!